We are very proud to be announcing the release of CIC Technology’s Channel Partner Certification Program. It includes a comprehensive education platform to ensure our partners are equipped with the skills and resources needed to achieve customer success. It is expected that this will improve consistency of service delivery and have a positive impact on customer experience around the world. CIC’s expansion into new markets and geographical areas can now be accelerated by effectively partnering with local organisations. Why did we need a certification program? CIC Technology has a large number of existing partners around the world successfully selling and supporting our product. However, the engagement with them was not strong enough. For example, which ones were strong in which markets? Which ones needed more training? What resources would be most beneficial? How could we improve consistency between our different partners? We needed a standardised and comprehensive program to ensure the relevant expertise – from sales to installation to maintenance and repair – was readily available for all. In many cases the functionality of a product is only as good as its implementation, which in this case relies heavily on the knowledge and experience of our resellers. The Certification Program gives all of our channel partners access to the same, accurate training and resources that we use internally. 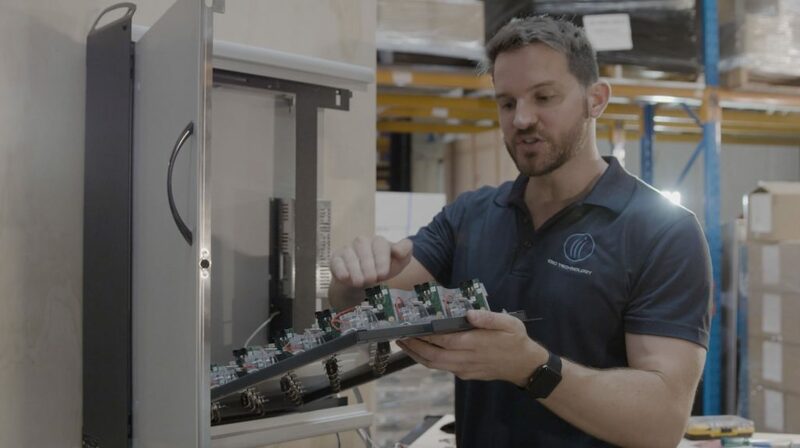 The hope is that a CQR.iT cabinet can be purchased anywhere in the world and the customer can receive the same high level of service, installation, advice and troubleshooting as if they are dealing directly with CIC. Training, resources and documentation are all available online at the click of a button. CIC Technology started as a small, family business in Canberra some 17 years ago. One of the challenges many small businesses face is the effective – and accurate – transfer of knowledge. Developing this program was an opportunity for CIC to document its various pieces of corporate knowledge in one centralised location. These resources are constantly reviewed and improved internally, but also accessible by our partners anywhere in the world 24/7. The training aspect of the program is delivered entirely online allowing us to scale our channel management efforts. We decided to use an online learning platform called Looop to host our material. This platform has been designed specifically to match the way people engage with information in a modern work environment. 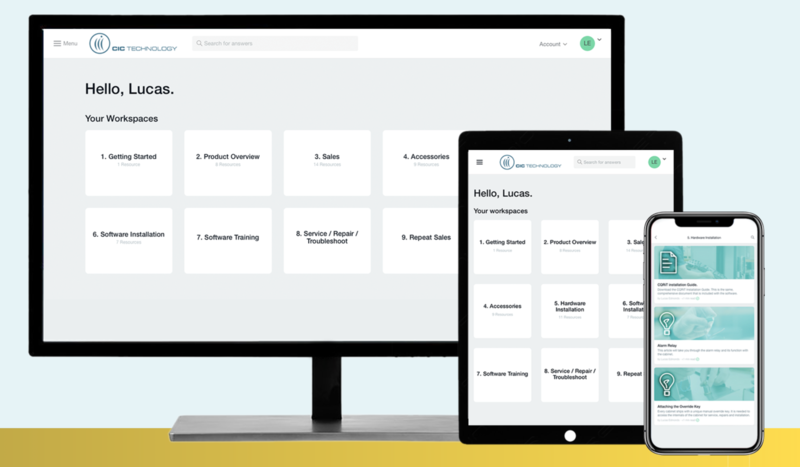 So rather than force feeding them lengthy pieces of learning material that are often clicked through rapidly with little retention, we broke down the components into hundreds of short, easily-digestible resources. Our format relies heavily on diagrams and videos rather than large blocks of text. We categorised them into modules and themes and made sure they were colour-coded and searchable. This way, our partners can find the information they need at the click of a button. Content is accessible when needed and easily digested. This platform also allows us to track partner activity and most importantly stay in touch. We can issue news, updates and even bug fixes to some or all of our partners globally with ease. We can also report on uptake of individual resources, receive feedback and test competence. This gives us the ability to shape and improve the program over time in response to customer and reseller needs. Comprehensive documentation is included with the program to assist with every state of selling and implementing the product. Currently the program only includes our Series II product with the latest version of KeySecure software. The flexibility of Looop means we can include new modules for our other products moving forward, including some of our software integrations. Our certified partners receive attractive pricing and their very own demonstration system of hardware and software perfect for presentations and testing. All our Certified Agents are published on CIC’s website to facilitate exchanges between our clients and our professional team. If you are interested in taking part in the program, contact us today.